Recycle all of your used markers! We ALL have used-up markers lying around - and now we don't have to throw them away! 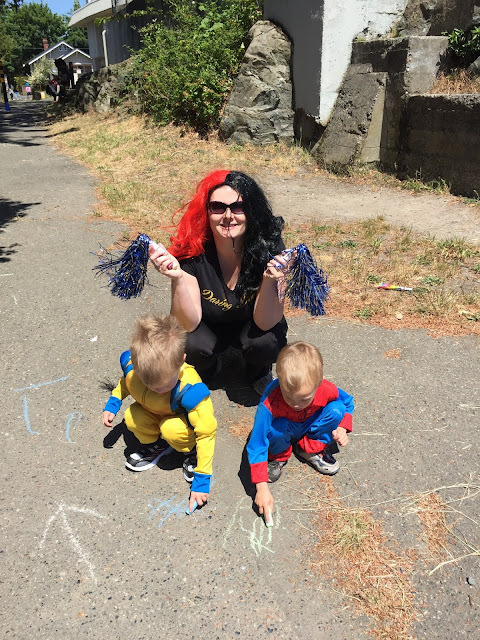 Vic West Elementary parent Sarah Holloway has started the ColorCycle program, through Crayola. Bring your used markers (or send them with your kids) to the office and pop them in the basket. Once full, a box will be sent in to Crayola, where the markers will be recycled into clean fuel to be used in vehicles, for heating and for cooking. A new box will then appear in the office to be filled. How cool is that?! 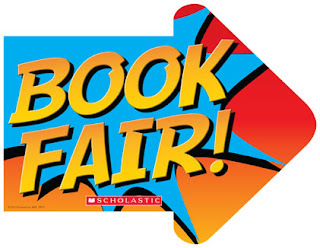 The recent Scholastic Book Fair raised $1300 for the school! Huge thanks go out to Brianna Perry for all her hard work coordinating the book fair with staff lead Ramy Gerber. We know it's a lot of work to organize, set up and find all the volunteers, so hats off to you! And thank you again so much to everyone who stepped up and volunteered - looking forward to the April Book Fair! Gorge Swim Fest ice cream fun! We had a great time selling cold treats to hungry swimmers at Gorge Swim Fest today - and raised $368 for our awesome school in the process! Thanks to everyone who bought ice cream and to Brianna and Mercedes who came to help. And especially to our kid sellers and promoters extraordinaire: Iain, Johnny, Eden, Sadie, Jake and Lily - yay you! 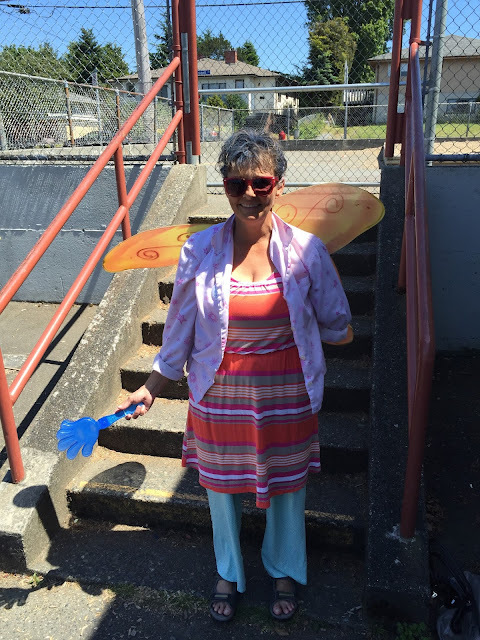 Community, summer fun and support for Vic West Elementary: a win-win-win! ... grade three student Grace and her mother Subilaga! Congratulations on winning the draw and enjoy those Spiral Cafe treats! 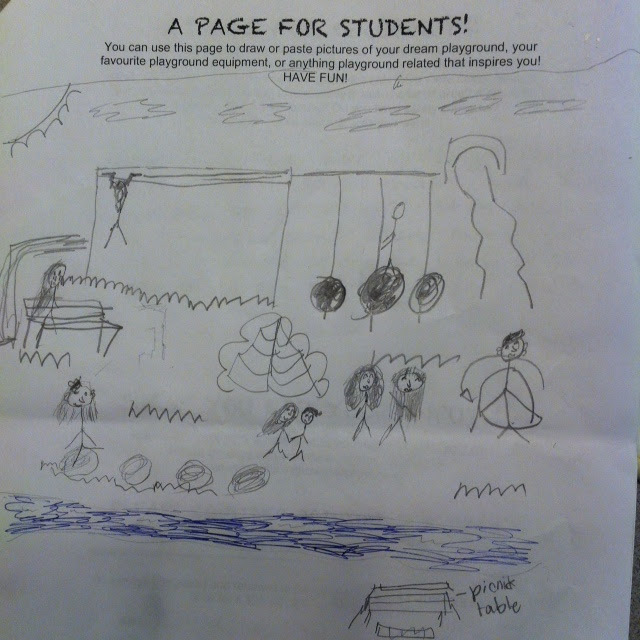 Grace's creative drawing is included below, as a sample of what the Playground Team received in response to the survey. All survey results will be compiled over the summer, posted here on our website and used as the basis for the back field playground planning process that is slated to begin in September. 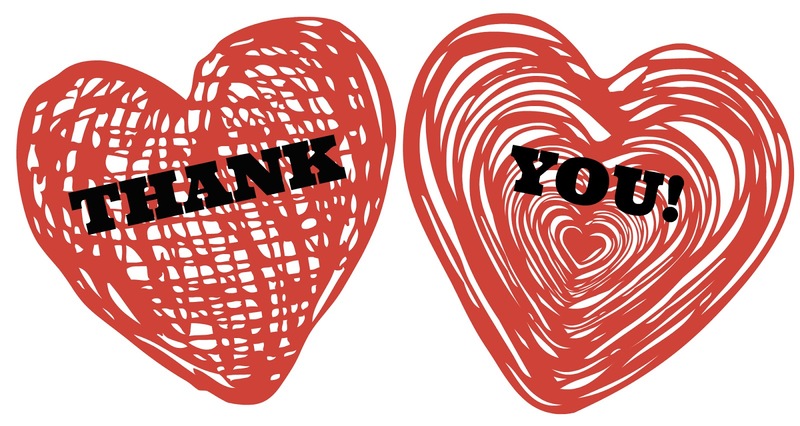 Thank you to everyone who contributed their creative energy and precious time, to provide feedback, ideas and input into what our school community most wants to see, as we move forward with this playground project. Please let us know if you want to be a part of the Playground Team by emailing vicwestpac@gmail.com, newvicwestplayground@gmail.com or by leaving a message on our PAC FB page. We love our World Fisheries Trust Seaquarium. We really do. But it was looking a little forlorn in our front entrance. We wanted to show it love, to make it dazzle, to help it feel like it representated our wonderful, creative, unique school. With the amazing collaboration between ArtsReach teacher and local artist Beth Threlfall and Ms Carrico's grade three class, we have succeeded! 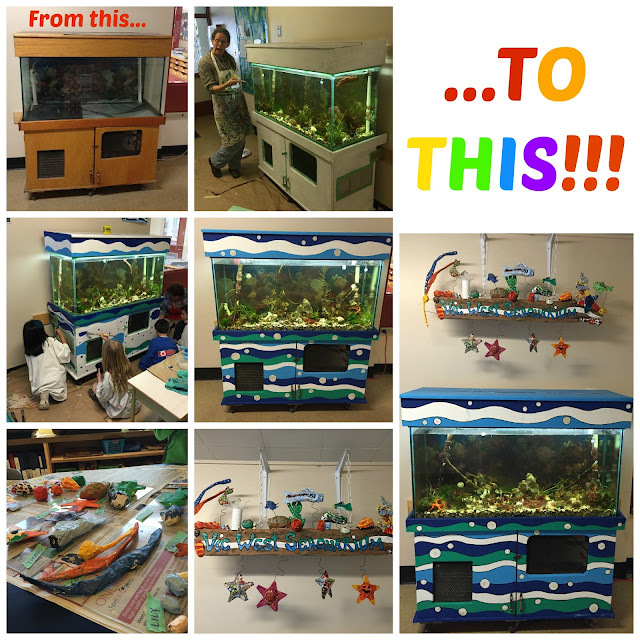 From painting the ocean lines to decorating the sea creatures that adorn the sign, the students did a beautiful job and we couldn't be happier with our Seaquarium's makeover. You HAVE to come and see it! Wild and Wacky Walkathon 2015- a Wildly Successful Event! 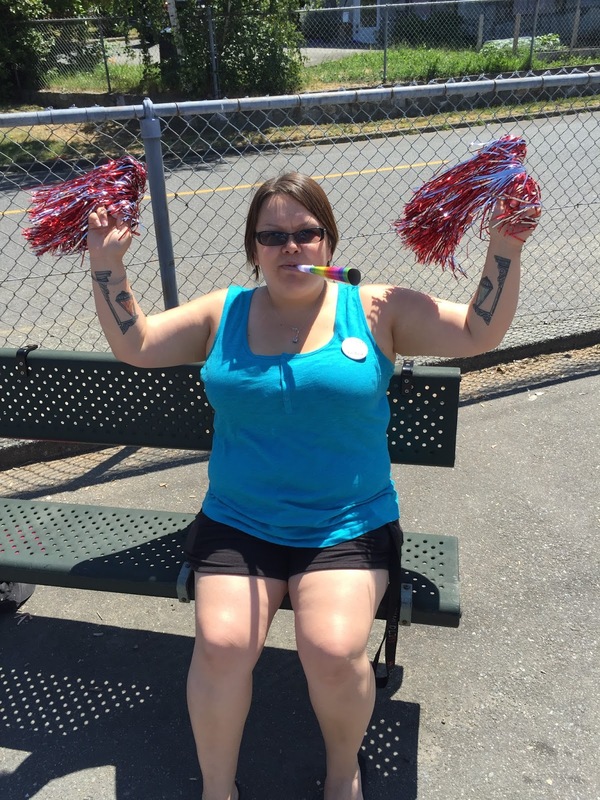 On behalf of the Vic West PAC, thank you, thank you, thank you! 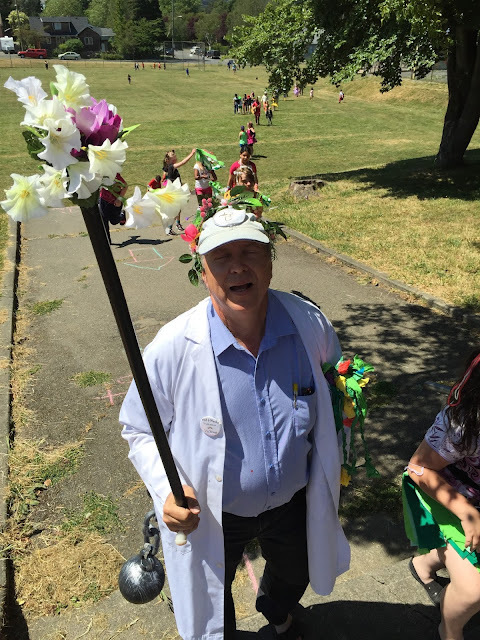 The enthusiasm, dedication and energy that staff, students, parents and volunteers brought to make the first annual Wild and Wacky Walkathon a success has truly touched and inspired us. You are all amazing and are the heart and soul of our little school. Another great big thank you to the sponsors of this event, who helped us to make it possible: The Spiral Cafe (an extra shout out to Mike, Joy and Phil for playing along the route), the Esquimalt Rec Centre, Esquimalt High School, Hothouse Pizza Vic West, Sunset Lodge, Boys and Girls Club Vic West, Rachel and Tori for facepainting and Darryl for being our extra special judge of the wackiest classroom! This year, Ms Carrico's grade three class raised the most money, over $1,640. Ms Kosh and Mr Kennedy tied for "Wackiest Classroom" and will get to share the trophy. 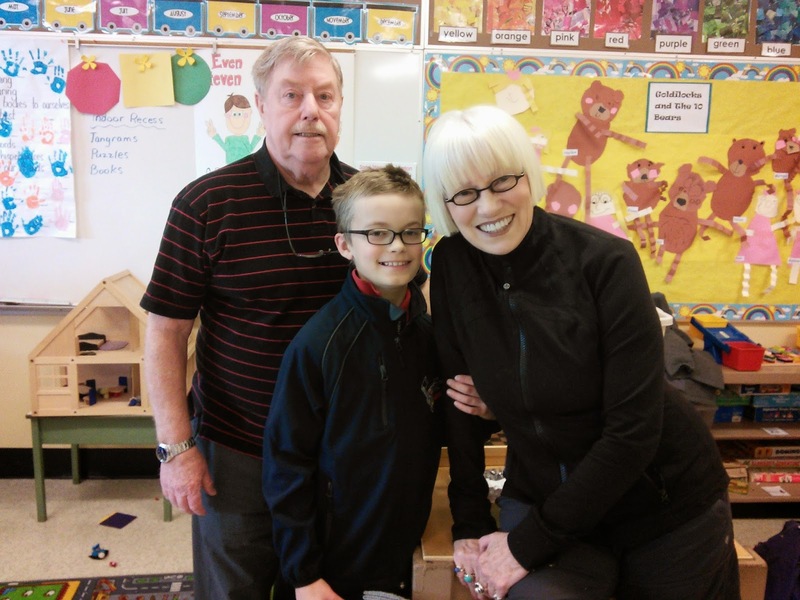 Grade One student Cieran S. raised the most money, bringing in an incredible $275! 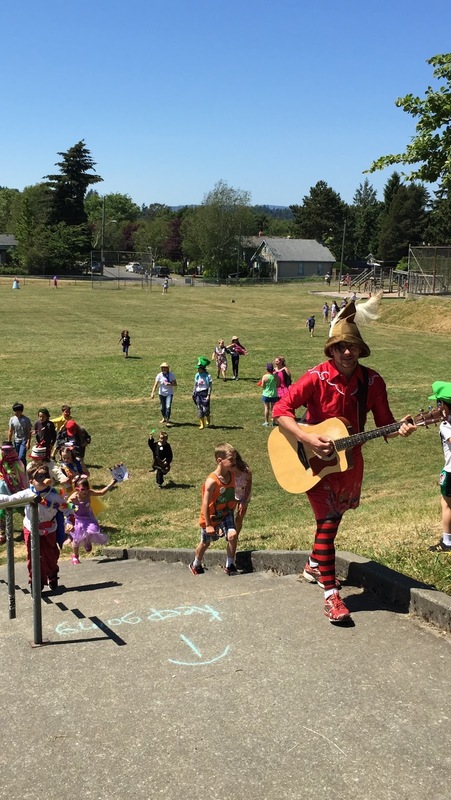 Last but not least, not only did the students bring in $7,000 net for our school, it was an incredible, fun, and wacky day! 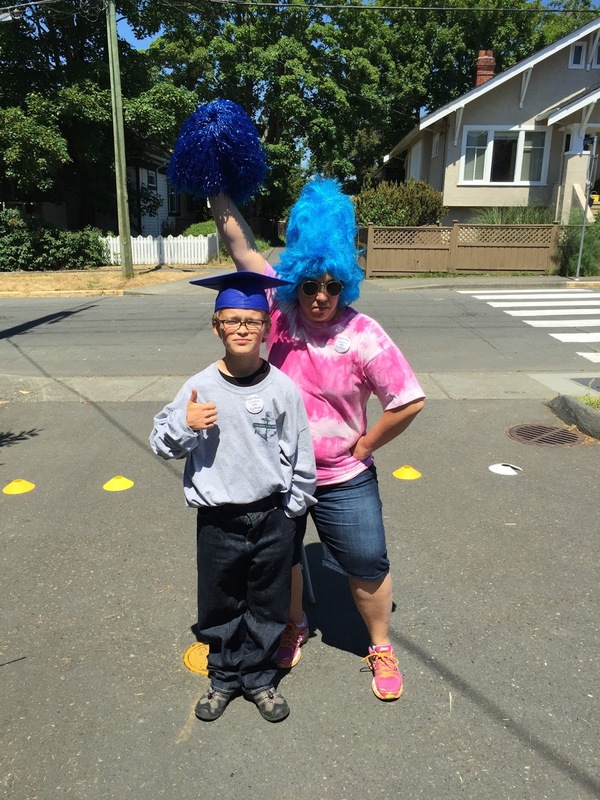 Watch for May 2016, when the second annual Wild and Wacky Walkathon will be coming your way! Our small and mighty school has yet another reason to be proud! Vic West Elementary teacher, John DiCicco, along with Esquimalt High School teacher, Trevor MacKenzie, are the recipients of the Parents Choice Award in this year’s Victoria Confederation of Parent Advisory Councils (VCPAC) annual awards. Mr. DiCicco and Mr. MacKenzie were recognized at a ceremony Tuesday night at Lambrick Park Secondary School for the literacy program they developed between Mr. MacKenzie’s grade 12 English students and Mr. DiCicco’s grade 2 class. Students paired up to read together and explore story-telling, culminating in a story book told and illustrated by the younger students and written up and assembled by their grade 12 buddy. This meaningful program between our two schools was such a success after one semester that it was expanded to include two more classrooms at Vic West. This district-wide honour was the most-nominated category at this year’s VCPAC Awards, and our school PAC is incredibly proud that this wonderful program is part of the learning that goes on at Vic West. Read more about this inter-school literacy program and the lessons that were learned by kids big and small (and their teachers, too!) 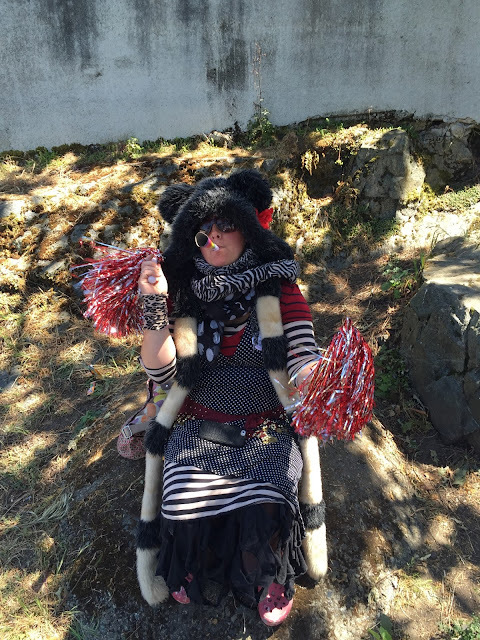 on Mr. MacKenzie’s blog. We were also celebrating our PAC President, Mercedes Calvert, on Tuesday night! Mercedes was recognized as a nominee for the Gail Edwards Memorial Award, an honour that recognizes a parent or guardian in our school district who has made a significant contribution to improve the quality of life in the school, who also gives unconditionally to the success of our children, and who inspires others to make a commitment to volunteering. Mercedes is all of these things and so much more, and we are incredibly fortunate to have her on our team of parent volunteers at Vic West. Congratulations to Mercedes, John and Trevor! Staples School Supply Order Forms- out now! The time has come again for our annual School Supply Order fundraiser! This year Staples has offered us two packages per grade at a very reasonable price. $3 from each order will go to our PAC to help fund various projects for our kids. 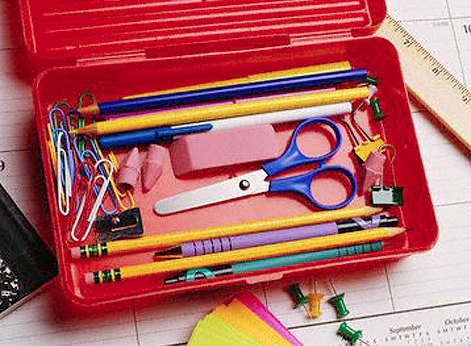 Parents have the option to order either a Basic/Core package which includes all required supplies for your child for next year, or a Deluxe package which includes extras like scissors and pencil cases in addition to the basic required supplies. These supplies will be delivered to your child's class by mid June. Forms will be sent home with your child on Wednesday May 6th. Please return all orders with payment to school by WEDNESDAY, MAY 13th. 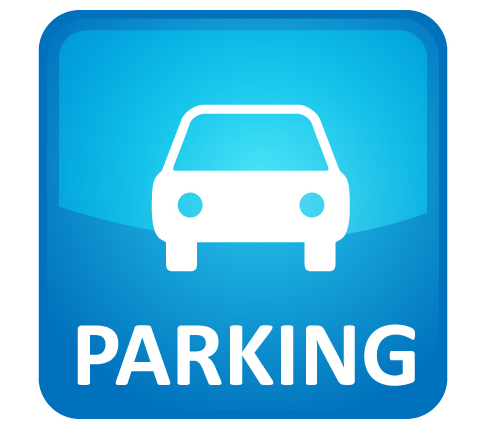 Payment for paper orders can be made by CHEQUE or CASH. Cheque is preferable. Please make cheques payable to "Staples". Simply enter the order reference number found on the top of the form sent home with your child and follow the prompts. Verify that you are ordering the correct package before submitting payment. Online orders will be delivered to your child at school with other orders. This is a great opportunity to get your back to school shopping done at a great price without the hassle of waiting in long store lines in August, all while supporting our school with a great fundraiser! 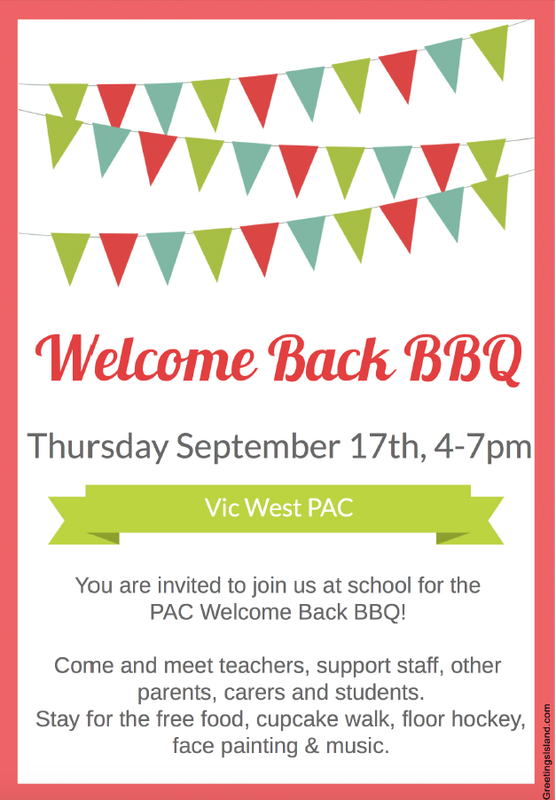 Your child will start their year right with all the supplies they need and all Vic West Elementary students will benefit from the funds raised for our PAC. *Please note: this is VERY TIME SENSITIVE. 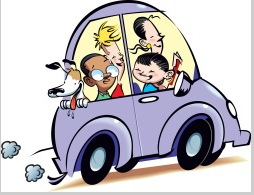 The forms will be going home in your child’s backpack on Wednesday/Thursday of this week and are due back WEDNESDAY May 13th. Sorry, but no stragglers will be accepted. 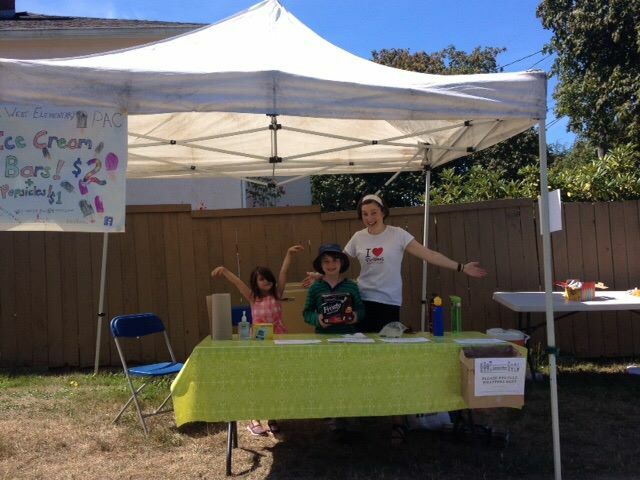 Our little school showed big heart this weekend with a successful Cancer Kicking Garage Sale & Bottle Drive. The event in support student Dakota Cunningham, who is currently undergoing treatment for T-Cell Acute Lymphoblastic Leukemia, raised just over $3,000!!! WOW!!! That money will go a long way in supporting Dakota and his mom Jaclyn while they focus on Dakota's health and getting better. A HUGE thank you to all the school and community volunteers who enthusiastically moved tables, lifted boxes, sorted bottles and drummed up sales. This includes several people from Jaclyn's workplace. Your contribution of time and energy made the day a success! A big thanks to all the home bakers who donated delicious goodies to the bake sale. Your contributions were enjoyed by many a smiling, chocolate-covered face. Thank you to Marty the Marmot and The Victoria Royals for lending your support. The kids (okay, the adults too) were thrilled to see Marty there. Thank you to Bottle Depot for supporting our bottle drive by dropping off the huge collection bins and picking them up at the end of the event. The bottle drive alone earned nearly $500! Thank you to everyone who donated items for the garage sale. As soon as the call went out, we started receiving generous donations from school families, the community and beyond. Your unwanted items were turned into cash for a great cause. Anyone wishing to make a direct financial donation to the cause, can do so through the 'Team Jakota' GoFundMe account, which is a quick and easy way to support the family. 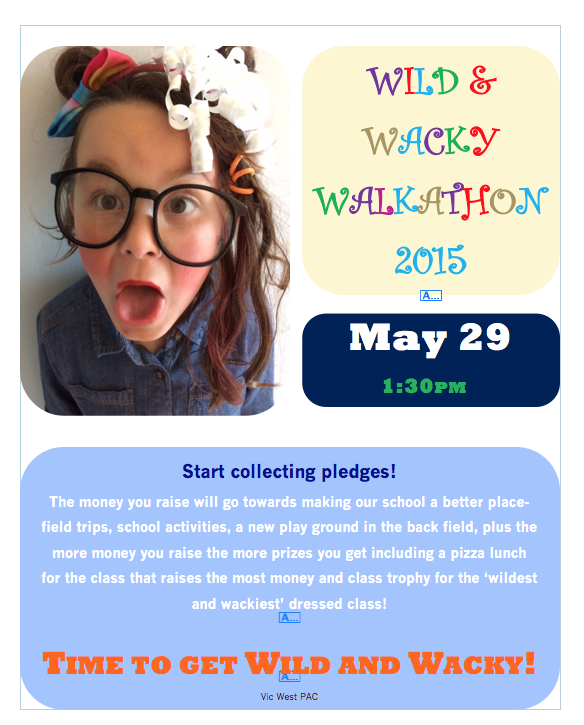 The pledge forms for the upcoming Wild and Wacky Walkathon were sent home recently. The kids will be raising pledges to dress in wild and wacky outfits to walk a course around the school for 30 minutes on May 29. The pledge forms were sent home in a plastic bag to be used to collect any money and also included an attached note reminding the kids to be safe and have fun while collecting any pledges. If you haven't received the pledge form yet, please email vicwestpac@gmail.com for one. To our wonderful Chess Club volunteers- a great BIG thank you! Another successful season of Chess Club has wrapped up at Vic West Elementary. For a small school, our Chess Club was mighty again with over 30 students from grades 1 to 5 coming out to play in the round robin after school on Mondays. We extend a heartfelt thank you to grandparent volunteers Hazel Harris and Ron Davis for coming out each week to set up chess sets and get players paired up. They leave a legacy of kindness, patience and generosity with our club. Thank you! 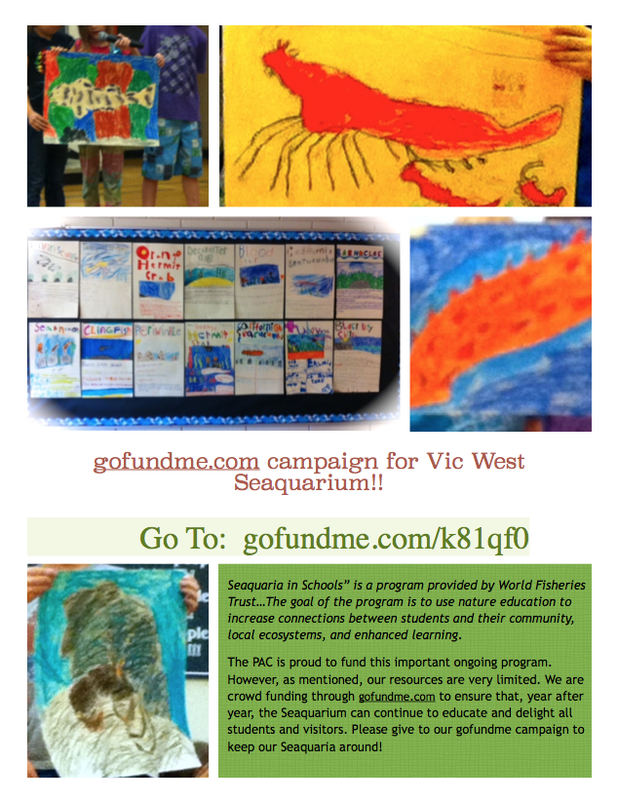 Seavicwest gofundme initiative... help us to keep our Seaquaria at our school! When you first walk in our school, you will notice that there is an aquarium located next to the main office. To many, it may appear to be just a lovely and decorative addition to our school's halls. What people may not realize is the educational and emotional benefits that this aquarium brings to our students. 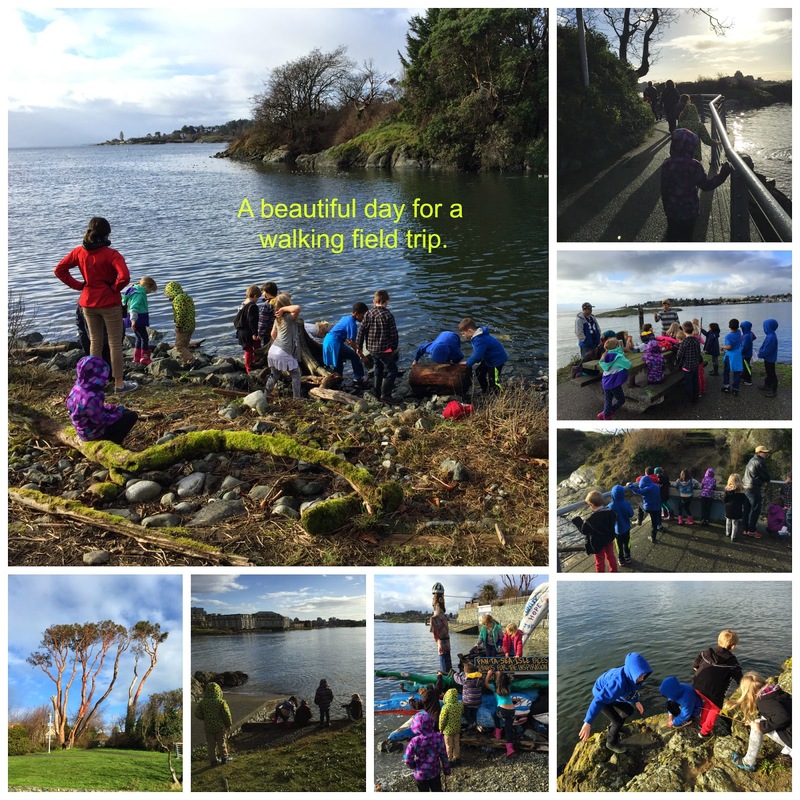 Currently, Ms Carrico's grade 3 students have taken on the role of Seaquaria stewards. They take daily measurements of the water, note the health and wellness of the creatures, feed the animals and generally ensure that they are taking great care of this tank full of local sea life. The Seaquaria also provides grounding for students. When kids are feeling upset/anxious, they can find calm and peace by looking at the creatures as they move about in their environment. We see many children delighting in the activities of the animals. In the halls, you will hear statements such as: "look! look! the hermit crab is coming out of it's shell" or "can YOU find the sculpin hiding behind the rock?" or "the sea cucumber moved ALL THE WAY to the other side of the tank today!" This Seaquaria is more than just decoration, it is an integral part of our school. Given this, the PAC has set up a gofundme account, to try to raise the funds needed ($1,470/year) to have the tank in our school. Please, share the gofundme link with your friends, family members, and beyond. Every amount counts! 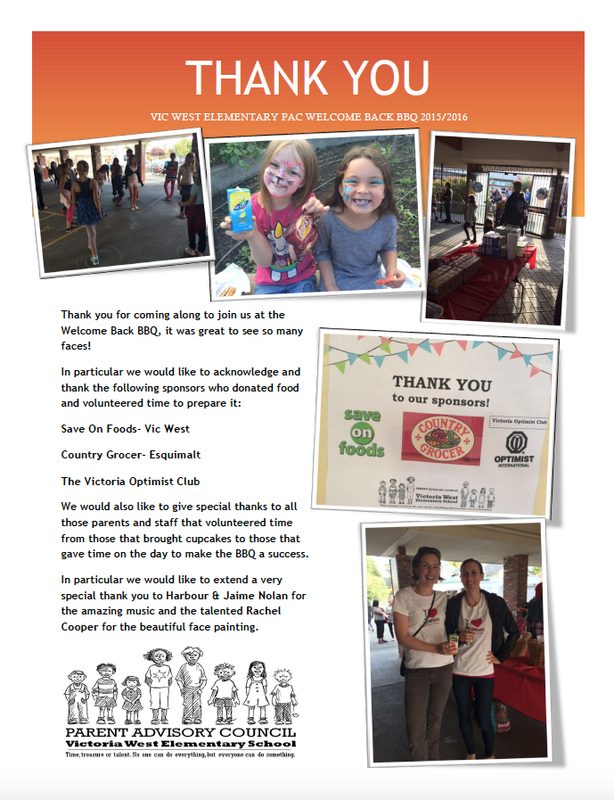 The Vic West Elementary PAC have partnered up with Fairway Market to help fundraise for the school. All you have to do is pick up a card from the PAC or the school front office, load it up with grocery dollars and 5% of your Fairway bill will go towards our school. The cards can be used at any of the Fairway Markets on the Island. Helping us to help the kids!